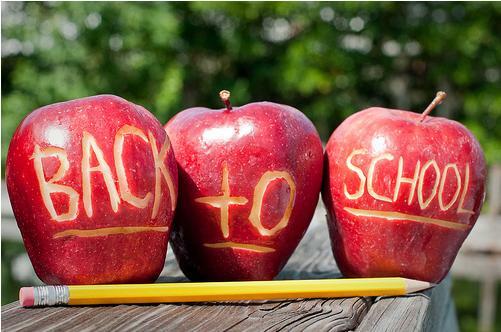 As parents who want the best for our children, we spend a lot of thought, money and time in August on back packs, pencil cases, new clothes lunch bags and other supplies in an effort to feel prepared. But did you ever stop and think about how you can start to prepare your child’s body for school? So, I recommend the following essential oils to assist your child in settling into their new school environment with ease. This is a fantastic blend to help you and your kids feel more awake and energized. 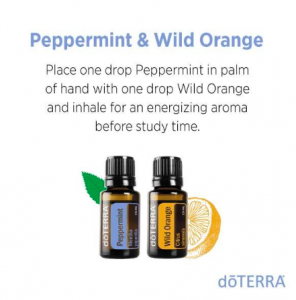 I have a diffuser in my kitchen that I use with this amazing pick me up oil combo and it smells fantastic! Encourage your kids to inhale deeply. I also use this at the end of the day if the kids (or we) need to re-energize for an after school activity. This blend has been shown to build immunity as it kills 99.9 % of germs. We had the healthiest winter last year after using this blend consistently. I use this to clean everything from floors to door knobs to counters. I have this in a roller bottle so the kids can roll it on to the bottom of their feet every morning. In flu season we like to apply this twice a day using a roller bottle. I also diffuse it during flu season and in the kids bedrooms if they are sick. Have a look at this interesting study that shows just how effective this blend is. How does it work? Did you know that cloves are are significantly higher on the ORAC scale (measures anti-oxidant ability of a food) than blueberries? The focus blend contains oils that have been studied and used traditionally for their abilities to promote calmness, focus and a balanced state of mind. Many of these oils contain high levels of sesquiterpenes, which have been proven to cross the blood-brain barrier. This blend will help ease stress and improve concentration. This oil comes in a roller bottle. I apply this to the bottom of my kids feet and sometimes on the back of their necks in that little soft patch just under the skull. If the don’t like the smell (some don’t) you can roll this on the bottom of their feet before they wake up. For children that have a difficult time focusing in the daytime can take a bottle to school, they can sneak into the bathroom and apply themselves. This is also one of my favourites for my mid afternoon pick me up! Lemon is known as “The Oil of Focus“. It has a citrusy aroma that is uplifting and cleansing at the same time. It helps with concentration. Lemon is a wonderful aid for children who are struggling with school. It is especially helpful in cases of learning disabilities. It goes well with Rosemary. 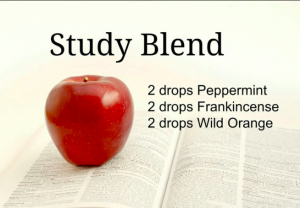 You can put both in a roller bottle and apply to the back of the neck or diffuse this powerful blend before school. You can use lemon in place of the wild orange. Children who are hyperactive, anxious or have difficulty concentrating could really benefit from this blend. It contains essential oils that are often used to calm and soothe feelings of stress and excitement. It’s fantastic for promoting sleep when kids are wound up so that they can settle down for a restful sleep. Both of my boys have a roller bottle of lavender in their rooms so that they get a ‘roll’ down their spines…it’s all part of our calming down routine. By the way, they now ask for it! Sometimes I’ll drop some into the bath or diffuse it right before bedtime in the family room. In the morning on days that might seem stressful (first day or presenting a project), I roll it onto the bottom of their feet. Think high protein and healthy fats for breakfast to start the day off right. Keep that energy going with snacks made up of good quality fats, proteins and complex carbohydrates. And something fun to look forward to is always a plus for kids. If you are interested in getting essential oils into your home, please click here on how to order (click join and save) or call 905-483-1969 to set up a free consultation. The most popular kit is the Home Essentials Kit that will give you everything you need for a great and healthy school year! If you’d like more guidance on shifting your family to healthier habits, I’m always here to help! It would be of great benefit to parents and schools for you to somehow present your knowledge about essential oils and healthy foods; perhaps at a parents’ evening? I would be happy to do this! Please call me at 905-483-1969 to arrange something!